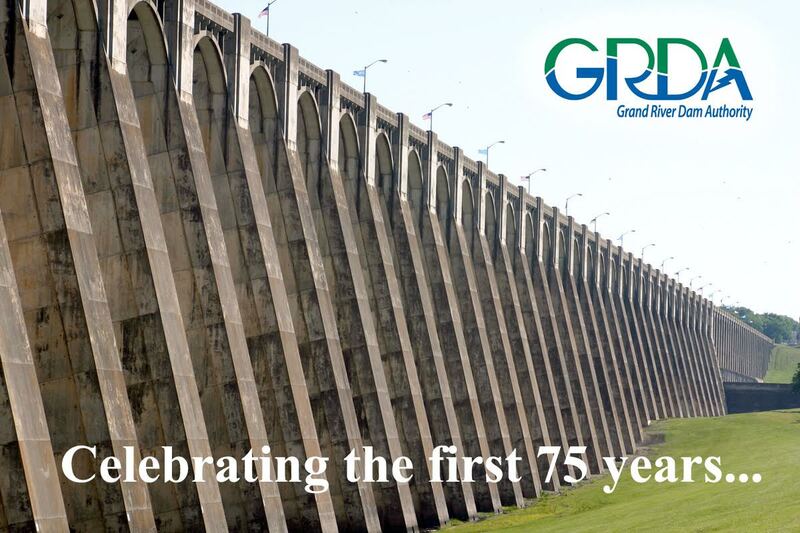 Mark your calendars now and plan to help GRDA celebrate the 75th birthday of Pensacola Dam and Grand Lake. On Friday, August 7 at the GRDA Ecosystems and Education Center in Langley, there will be cake, Cherry Berry frozen yogurt and historical displays to help recognize this very special milestone in the dam’s history. The event starts at 7pm, and the public is invited to take part. After the party, plan to head down to the Grand Cherokee Golf Course (below the dam) to catch a free outdoor movie, courtesy of the Oklahoma Tourism and Recreation Department. There will be popcorn and drinks available, but bring blankets and/or chairs. Then, on Saturday, August 8, several lake area businesses and organizations will continue the celebration on the lake, with a “Woodstock on the Water” raft up/concert on the beach at Disney State Park, on the east end of Pensacola Dam. The show is set to begin at 11AM with Travis Kidd Band, Kirkland Field, Bootlegger’s Union, Reverse Reaction, Jim Sweeney and Chris Campbell all taking the stage. Other events throughout the day include a classic boat parade, a ski/wake board/surf event, rock climbers and more. Get ready for Grand Lake’s biggest party ever as it’s time to for a birthday celebration for the Pensacola Dam and Grand Lake! PreviousThe First Ever GLOC Shootout Was Awesome!